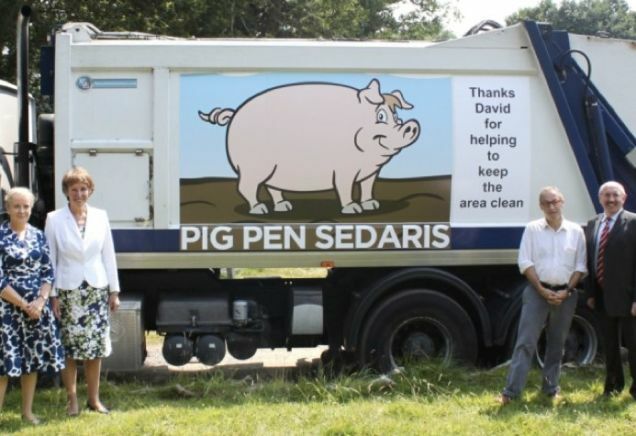 David "Pig Pen" Sedaris, mainly known for his volunteer efforts to pick up trash all over the Horsham district of Sussex, England, recently received an honor appropriate to his fantastic work, the West Sussex County Times reported this week. As a token of Horsham District Council's appreciation, the council has named one of their waste vehicles after him. The vehicle, bedecked with its bespoke 'Pig Pen Sedaris' sign was officially unveiled by the Lord-Lieutenant of West Sussex Mrs Susan Pyper at an outdoor ceremony on July 23. Sedaris was reportedly thrilled at the unexpected show of appreciation for his accomplishments, but he sees his trash-picking as something of a civic duty. "I'm angry at the people who throw these things out their car windows, but I'm just as angry at the people who walk by it every day. I say pick it up yourself. Do it enough and you might one day get a garbage truck named after you. It's an amazing feeling," the humble do-gooder told the County Times. Lord-Lieutenant Pyper put Sedaris's efforts in less modest terms, calling him "a real local hero." "Pig Pen" Sedaris's story also inspired the local council to launch an "Adopt-a-Street" program, to encourage more people to follow his example, the County Times reported. 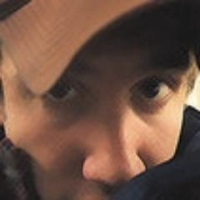 The County Times updated its article, headlined "South Downs litter picker has truck named after him," the next day, to include some other fascinating details you might not have known about heroic local cleaner-upper David Sedaris. For example, "Mr Sedaris has a massive following in America as a Grammy-Award winning author and comedian."